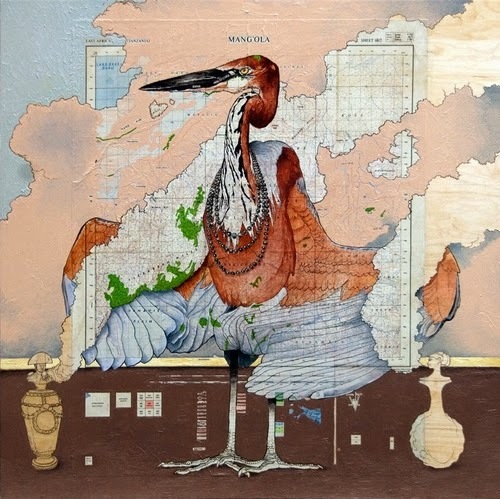 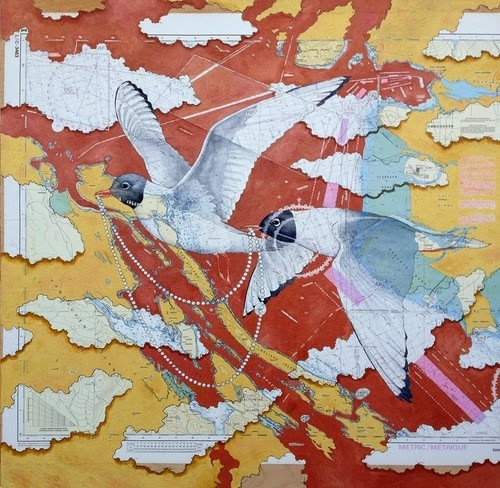 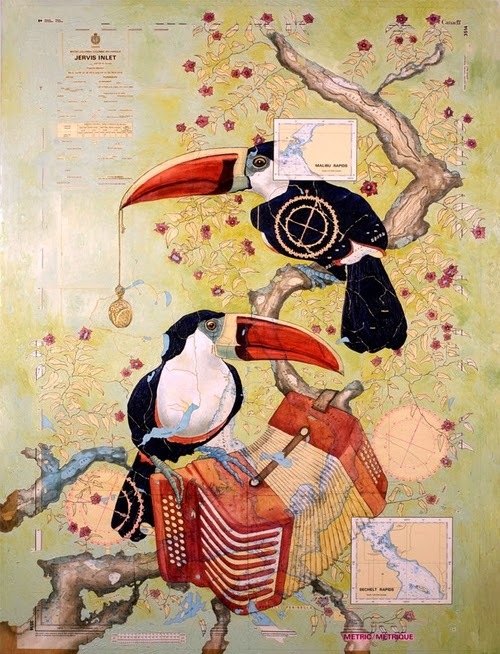 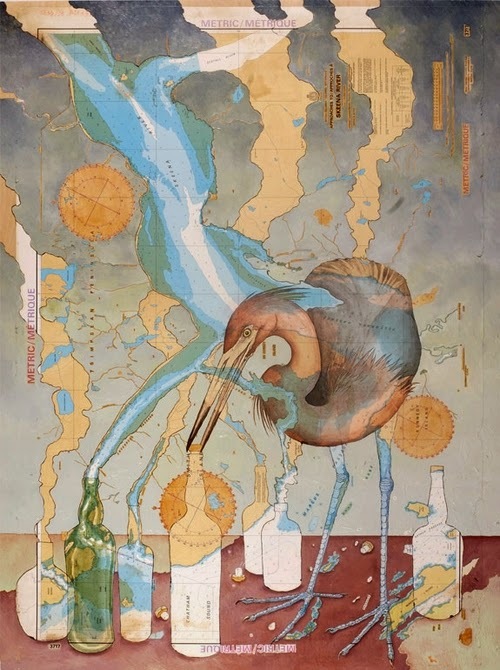 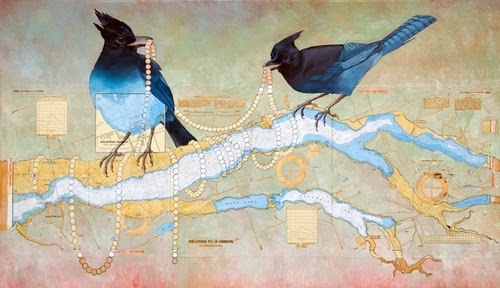 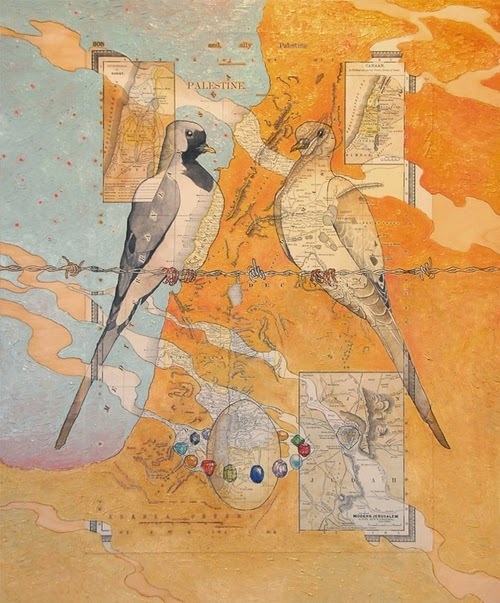 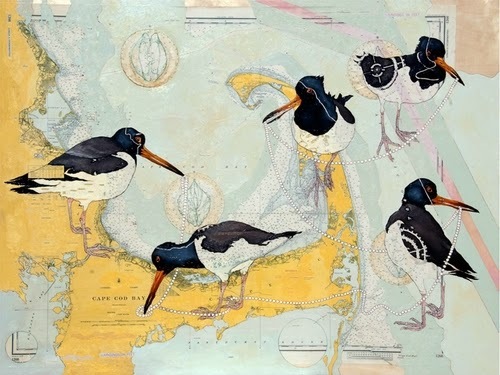 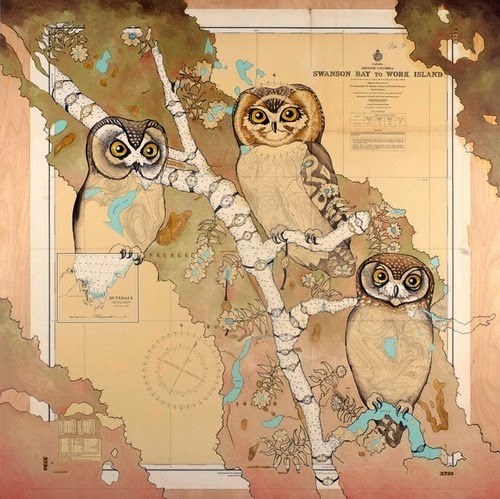 An all together different use of maps, Artist Paul Morstad uses Cartographic Maps as a base for his paintings and collages. 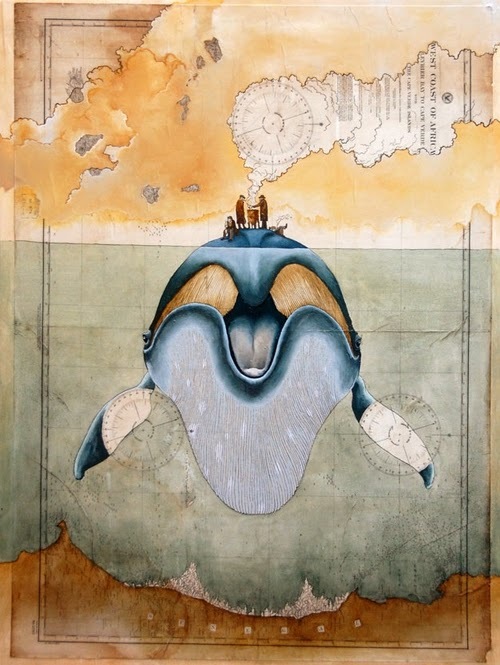 He draws inspirations from the animal life and nature from his native Vancouver in Canada. 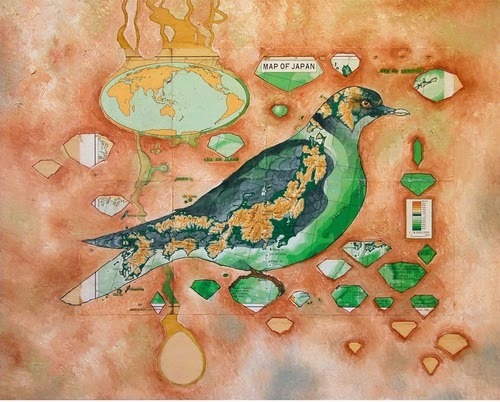 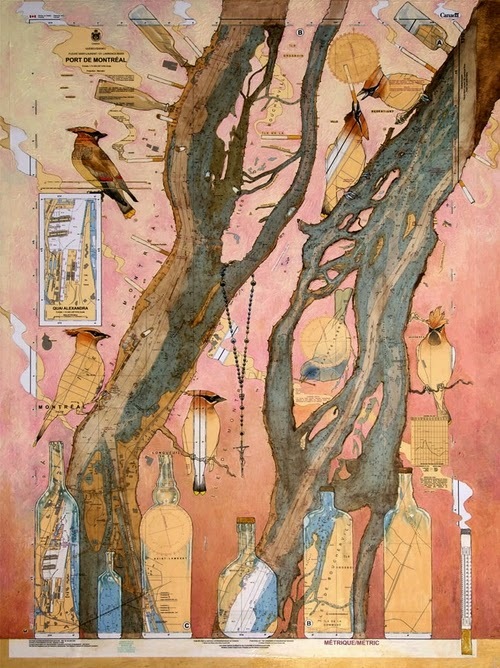 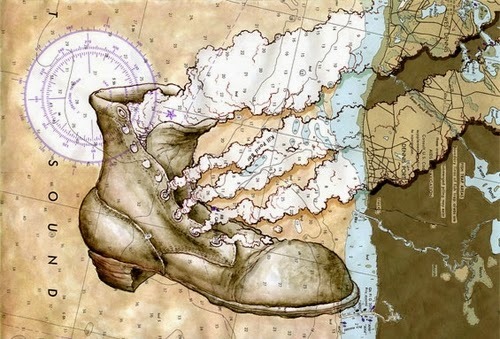 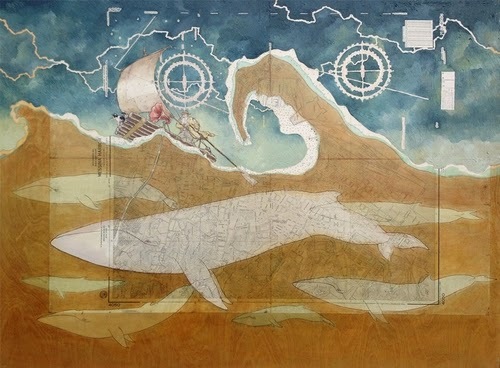 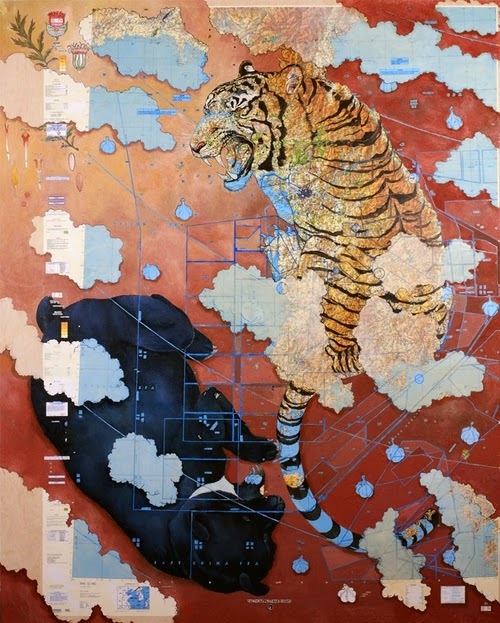 Monstad uses a variety of techniques to compile his work including Collage, Water Colour, Gouache and Oil Paints. 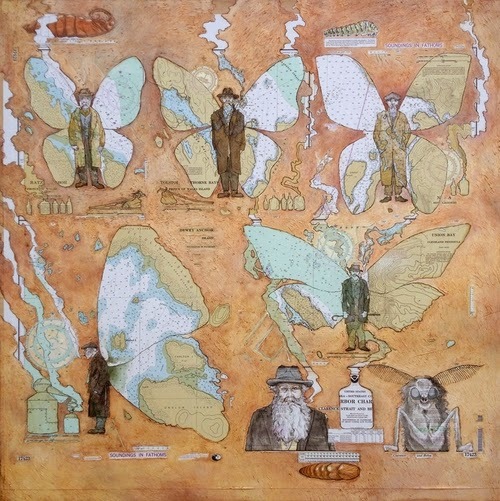 Tolstoi and the Hobo Moth.